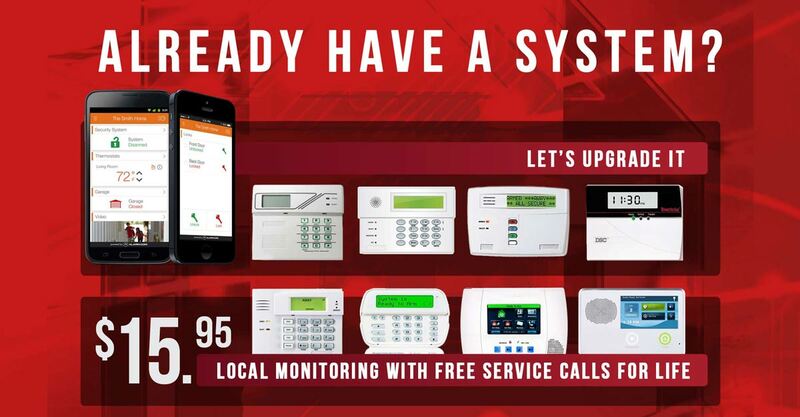 We provide smart home security to Oklahoman’s who own their homes so they can control their houses on a budget. Whether you need an alarm system or video surveillance we provide custom solutions at an affordable price all over the state. We provide a customer care agent to come to your home and do a walk through if necessary. The Edmond and Oklahoma City metro area is our home. For over 10 years and tens of thousands of systems we have been serving OK. Since the days of Brinks we have been winning awards on a national level. Now you can see from our reviews that we take care of our customers. We guarantee satisfaction. If you are unsatisfied for any reason, just let us know and we will make it right. In addition to saving a boatload on your monthly bill, we promise to give you free installation, free activation and no cost consultation when deciding what you need. Smart homes can be confusing with all the different products out there with various levels of functionality. Make a choice that will give you piece of mind without costing you an arm and a leg. If you own your own home and can pass a credit check you are probably eligible for a smart home security system to be installed at a low cost. If you have an existing system we can do a takeover starting at $15.95 monthly. Give us a call at 405-605-0101 or stop by our showroom at 804 W. I-240 Service Rd. in Oklahoma City, OK. We will get you started today! Are you in Edmond? We’ll Call You! "A Great Place to Grow" The city motto of Edmond rings as loud now as it ever has. The cities population has been growing rapidly since the 70's and now is estimated at over 90,000 people. Education is at the forefront of the economy. The two largest employers in the city being Edmond Public Schools and the University of Central Oklahoma. The chain of grocery stores "Homeland" is based in Edmond as well. Seven-time Olympic medal winner Shannon Miller also grew up in Edmond to add to it's history. She has a park named after her downtown.